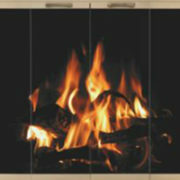 There’s nothing quite like sitting outside with family or friends in front of a burning fire. Who doesn’t love the sound of crackling flames on a cool evening while gazing up at stars and maybe toasting some marshmallows? 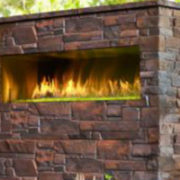 At Rettinger Fireplace Systems, we enjoy helping our customers find the perfect outdoor heating solutions for their particular needs. Whether you decide to purchase an outdoor fireplace or a fire pit, there’s no denying that you’ll enjoy the ambience and the decor that it creates in your outdoor living environment. Both an outdoor fireplace and a fire pit add heat, light and ambience. The combination of these three can make for a memorable and interactive outdoor experience at your home. If you have a large family, a fireplace is the perfect place to share daily stories or to eat cozy meals together when the holidays roll along. 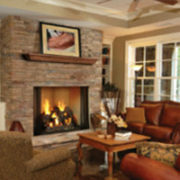 At Rettinger Fireplace Systems, we love helping our customers find the right fireplace or fire pit for their homes and we are always happy to answer any questions about our products, as well. 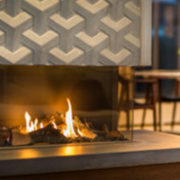 Fireplaces and fire pits are structurally different. If you’re trying to decide which one is best for your home, you might want to consider whether you want portability or not. With a custom-built fire pit or fireplace, you don’t have the option of moving your fire to another part of the patio or yard, it is a permanent structure. However, the stand alone fire pit tables we offer are movable so you can re-arrange your outdoor space to whatever suits your needs and conveniently run off of standard propane tanks like the ones on a gas grill. Either way, a fireplace, custom fire pit, or fire pit table will add a natural touch to your outdoor decor and will keep your guests toasty and warm. 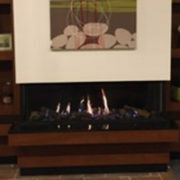 At Rettinger Fireplace Systems, we supply a wide range of fireplaces, custom fire pits and fire pit tables for our customers to choose from. All these options offer a way to enjoy evenings in your backyard for summer and well into the colder months. 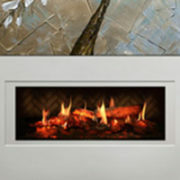 Our fireplaces and fire pits are designed to provide both warmth and elegance to your decor. 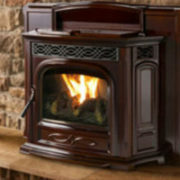 Stop in to see some of our systems and prepare for enjoyable nights to come in your cozy outdoor space!